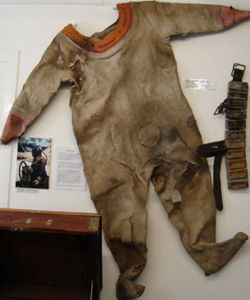 Canvas diving suit. From Leith harbour. This page was last modified 15:30, 23 July 2008. This page has been accessed 3,961 times.